In the shiny, happy world of entrepreneurial success, we don’t often hear about an entrepreneur’s failures and even traumas. But these can play an incredible part in a person’s success. In fact, you could say success is often a product of failure. In this episode we pick up our conversation with entrepreneur and all-round polymath, Rob Christie. 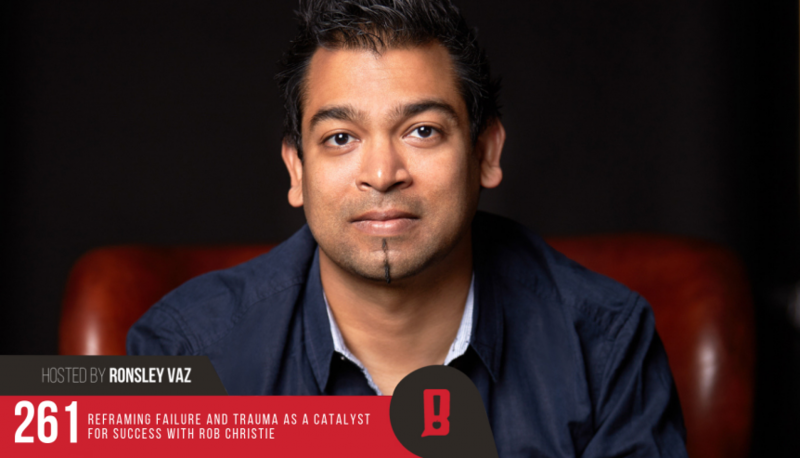 In this raw and open interview, we look at failure and even trauma in our business and personal lives and how it can often be a great catalyst for success. Rob shares some fascinating insights from his own life and career, and he even shares with us his theory on why pretty people have it worse than the rest of us. This is another one that will get the old neuro-connectors firing. Enjoy. If you haven’t listened to part 1, listen to it here now.